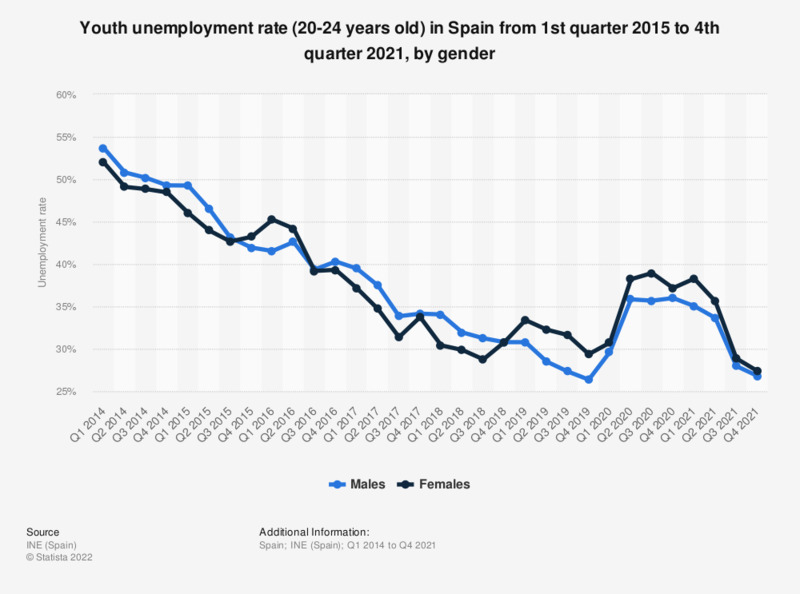 This statistic displays the youth unemployment rate (20-24 years old) in Spain from the first quarter of 2014 to the second quarter of 2017, by gender. In the second quarter of 2015 the unemployment rate of males aged between 20 and 24 amounted to 46.49 percent. What kind of work-related hardships did you experience since the recession began in December 2007?